Here at last is practical help for the busy minister. The Minister's Topical Bible is the ideal tool for all who could use a little assistance in teaching, preaching, discipleship and counseling. As an aid in sermon preparation, “The Minister´s Topical Bible” is unsurpassed. By collecting all Scripture on a topic in a single place, valuable time is saved from having to search through concordances or trying to bring up passages from memory. 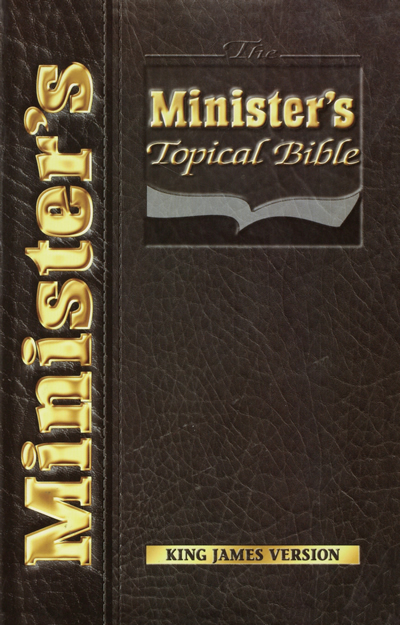 The Minister's Topical Bible is the most thorough and complete compilation of Bible Scriptures that no minister should be without.